It's easier to dream about meeting your very own unicorn friend when you're wearing these beautiful pajamas from Books to Bed! 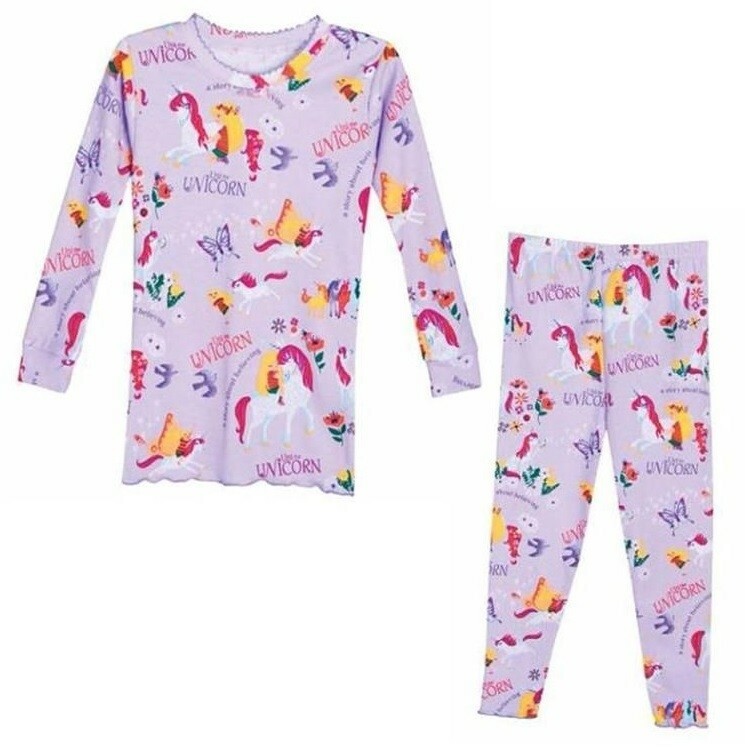 This cozy set of 100% cotton pajamas has a print inspired by the beloved children's book Uni the Unicorn. They're the perfect choice for any magical bedtime! These pajamas are available in toddler sizes 3T and 4T and children's sizes 4, 5, 6X/7, and 8. For more sleepwear featuring popular book characters — including gift sets that include both pajamas and a copy of the book — visit our Books to Bed Collection.